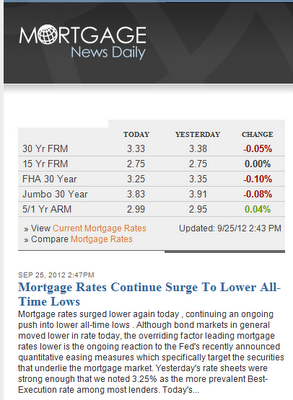 Moving to Short Hills: Crazy Mortgage Rates! The market has stabilized and even shown signs of improvement and the number of agents is down about 40% from its most recent peak in 2007. 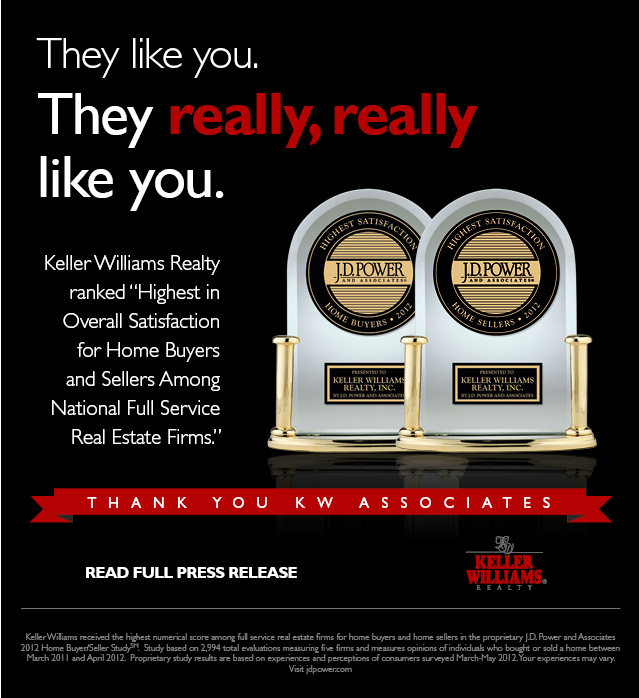 I got into the business 3 years ago and have doubled my business each of the past 2 years, which i attribute to a good amount of hard work and the sharing of knowledge that Keller Williams provides to its agents. 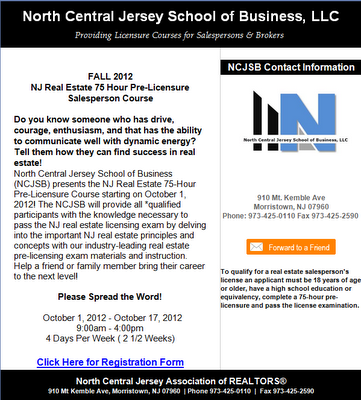 Speaking of which, Keller Williams just received the J.D. Power's awards for highest level of satisfaction amongst its competitors in both Buyer Satisfaction and Seller Satisfaction. 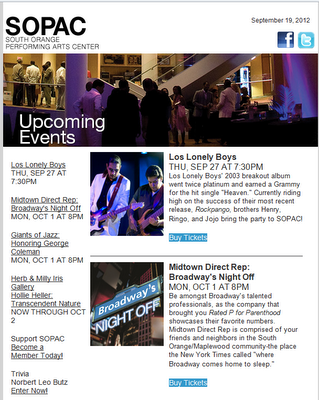 Can't wait for Los Lonely Boys to play SOPAC! It's not very often that a commercial property becomes available for sale in Maplewood's downtown village, but it just so happens that is what we have today! What makes Maplewood Village so wonderful is that it isn't found on a main drive-through street or County Road. Instead, Maplewood boasts about being the only downtown in all of New Jersey without a street light. Hence why it is so often referred to as "our little jewel of a village." Tucked into the center of Maplewood Ave, across from St James Gate (The Pub, as we call it) and just a few feet from Maplewood's Mid-Town Direct Train Station, sits this wonderful commercial property with a combination of business and dwelling rentals. 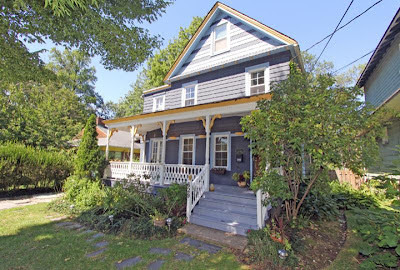 Moving to South Orange: Around the Block, Party that is! Block parties are part of neighborhood tradition, a time for locals to come together and reunite after summer camp and vacations. Since fall schedules are already filling up with soccer, school and volunteer commitments, now is the time to put a block party on the calendar. Veteran organizer Karen Gonsor DiScala of South Orange and Mark Slade of Maplewood have a few suggestions for organizing a simple and “no frills” event. Once the date is chosen, one needs to apply for the party permit, usually available at your town hall or recreation center. In Maplewood, Slade cautions, "your permit is contingent on securing signatures from about 2/3's of the affected block(s)." When the party is approved, the Police Department is notified, and your block party captain receives permission to block off part of the street beside their home. Discala notes that many neighborhoods have an obvious spot for a party, whether it’s a quiet intersection or a large yard that owners are willing to share. 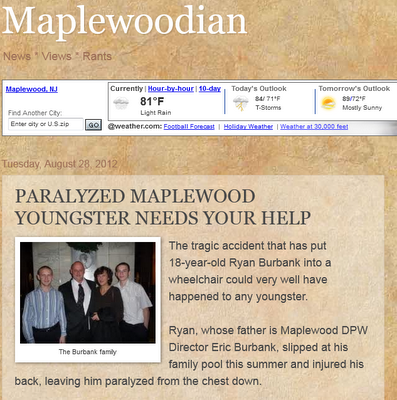 While DiScala and husband Todd have become unofficial organizers of their neighborhood’s annual event, they also suggest that first-time party organizers “accept all offers of help.” One task is notifying neighbors of the event, either via e-mail or by creating and distributing flyers. In past years, DiScala has sent her two children through the neighborhood, handing out invitations and telling neighbors about the party. "Collecting the money, Slade adds, can be an arduous part of the planning; I sometimes try to solicit the help of some of the kids on the block to go around to help me when the collection phase is lagging." Another task is running errands on the day of the event, purchasing ice, meats and other perishable supplies in addition to accumulating plastic utensils, condimnets and paper products. 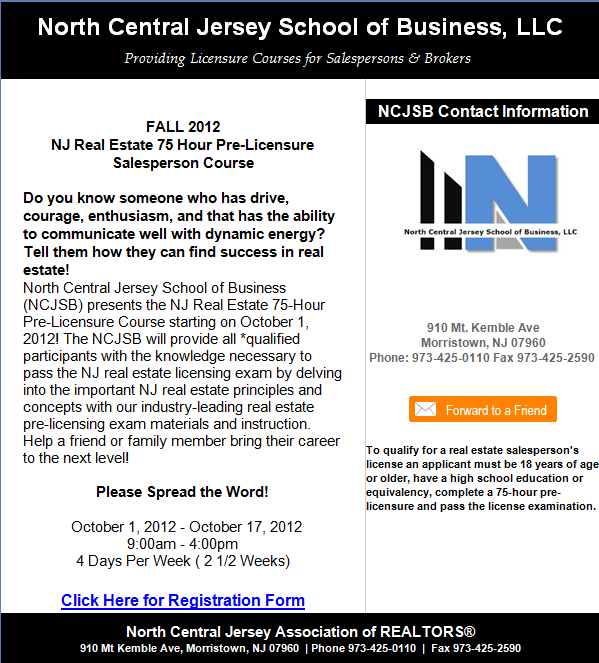 DIY Network's Home Renovation Show "Man Caves" Seeking NJ Guys! Every guy needs a space to call his own-- a place where he can enjoy what he loves, from a rock-and-roll lounge to a golf lover's paradise. Football great Tony "The Goose" Siragusa and DIY Network's Jason Cameron are ready to turn your spare room, basement, den, garage or even garden shed into the ultimate guys' hangout. If you want then to transform your room into the ultimate hangout, please email mancavescasting@gmail.com with your name, contact info, photos of you and your live-in girlfriend/wife, photos of the space you want "man caved", a brief description of why you deserve a man cave and what theme you envision! It's now Labor Day and the year is 2/3's over. During the past 8 months, Maplewood has had 13 homes that were sold as short sales and I have been responsible for 4 short sale transactions as part of these Short Sales. It's a lot of hard work, I can tell you from experience. The amount of paperwork is astounding if you are representing the seller(s). Like Olympic diving, the degree of difficulty ranges from a one bank transaction--like a 10' platform--to a transaction with two different banks--which is like a 30' platform dive. At the same time, when I represent buyer's in a short sale transaction, I find myself repeatedly reminding them of the average lead time--3 1/2 to 4 1/2 months--it takes to close a short sale and also warning of what appears like information blackouts as we go days, sometimes weeks, without any news from the selling side on any progress. Here is a testimonial from one of my recent buyer clients: "The biggest benefit to purchasing a home through the short sale process was being able to buy a nicer home in a better area than we originally anticipated. The biggest challenges were the wait time and feeling like the process wasn't transparent or under our control. Overall, we are happy we went through the process because we love our home and our neighborhood." Currently, there are 34 Short Sales on the Market in Maplewood and 7 of these homes have accepted offers that are being negotiated with the banks for final approval. The average DOM--Days on Market--exceeds 213 days, which is almost 4 times the average DOM for homes sold this year in Maplewood.